Big Boy is a national institution, serving customers good home cooking in a comfortable atmosphere. 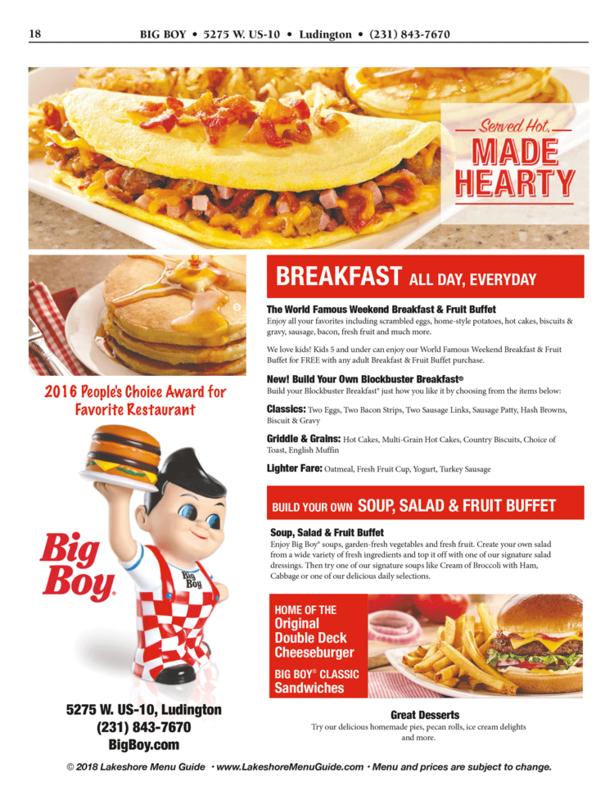 Ludington Big Boy is known for their soup, salad and fruit buffet, hot and hearty breakfasts, and great desserts. Big Boy is home of the original double deck cheeseburger and Big Boy classic sandwiches. Stop in today for breakfast, lunch or dinner.